A sensational Thai curry recipe that is quick and easy to make and delivers a combination of flavours. Make the paste. Dry-fry the spices, then grind in a mortar and pestle. Put in a blender, add the remaining paste ingredients and black pepper. Blitz for 5 min, until smooth. Set aside. Warm some vegetable oil in a large pan over a low heat. Add 40g curry paste and cook for 2 min, stirring. Add the coconut milk, bring to the boil, then simmer for 5 min. Toss the courgettes in oil, season, and fry on a hot griddle for 2 min each side. Add to the curry and cook for 6 min. Add the asparagus and broad beans and cook for 3-4 min, then stir in the basil. 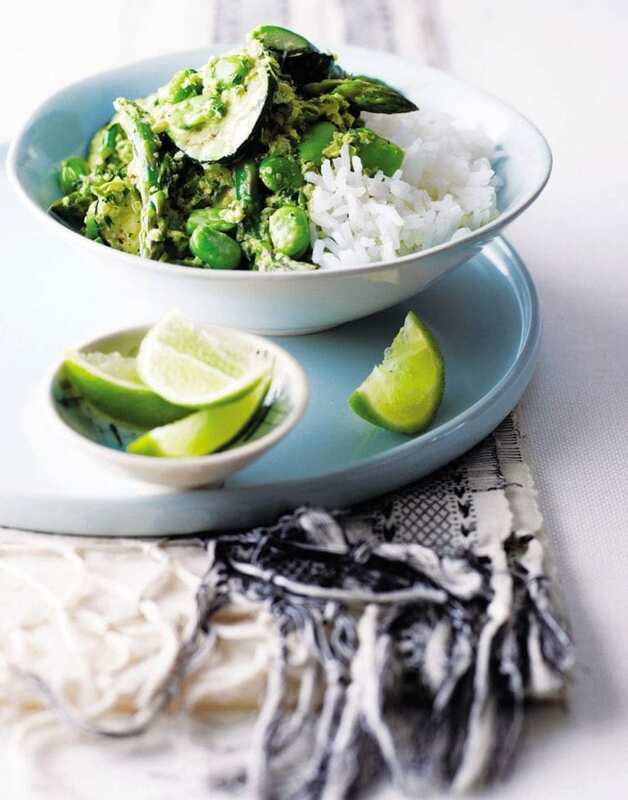 Serve with jasmine rice and lime wedges to squeeze over. Any leftover paste will keep, chilled, for up to 3 months. Try adding a dollop of the Thai curry paste to mashed potato – it’s divine.